It’s 8:40 AM on the first Monday morning back at work for me after the Christmas New Year break. Whilst I stare at the 2000+ emails requiring my urgent attention, I receive a phone call. I say to the receptionist ‘can you please take a message and I’ll get back to them later’. She tells me that the caller is in tears and needs to speak with someone urgently. I take the call. His name is Steve. He told me that he has a young daughter called Amanda and has been married for 10 years. His wife’s name is Tammy. Steve told me that he works away in the mines in Mount Isa on fly in fly out basis. He spends 2 weeks at the mines and then comes back home for a week. He said this was the only job that he could get, and it earns good income for him and his family which is the only reason he took it. He told me that when arriving back home from his last stint in Mount Isa for the year just prior to Christmas, his wife Tammy, and daughter Amanda, were gone. So was most of the furniture from their house, all Amanda’s and Tammy’s clothes, possessions and beds were gone. Even their king-size matrimonial bed was gone. He said that he thought he and Tammy had been growing apart and she was becoming more distant from him, however he had no idea at all that this was going to happen. He told me he spent Christmas on his own in an empty house sleeping on a blow-up bed on the floor. He has been self-medicating with alcohol and he is so depressed that he wants to end his life and for it to be all over. He said the only thing he is living for is to be able to spend time with Amanda again. I told Steve that ringing me this morning is the best thing that he could have possibly done. I told him that I have been practising family law for over 30 years, that there is a light at the end of the tunnel, and by taking it step-by-step he will get there. I told him that what he’s feeling now is a completely normal reaction but will be nothing but a distant memory in the future. I arranged an appointment for Steve to come and see me that afternoon. I referred him to a good counsellor to deal with his depression issues and explained to him that in a marriage of that length with a 5-year-old daughter are you not only grow up together, you grow together and become one. You’re like a nice big ripe watermelon until someone pulls out a cane knife and slices you write down the middle. Now one half of you is gone and where it was is very raw. You need time to heal and grow a scab over that cut which takes time. Steve said to me he does not know where Amanda or his wife would have gone to, or why she left without giving him notice or reason. Steve was concerned because he was a fly in fly out worker and wanted to know how we can find Amanda and Tammy, what his rights are as a parent post separation with respect to his children. He said, “now that she has done this and has taken Amanda away from me, there is no prospect of reconciliation between us whatsoever”. He then turned to the family law questions that I knew were coming. I knew they were coming because these are the most common family law questions that I am asked following the separation of two parents with young children, particularly where one parent has taken the children away from the other and/or will not let the children spend time with the other parent. I told Steve that under the guiding principles of the Family Law Act 1975 (“the Act”), which is the main piece of legislation dealing with family law in Australia, there is a presumption that following separation both parents will continue to have equal shared parental responsibility for any children of the relationship. I explained to him what equal shared parental responsibility means. It means that both parents have an equal parental right or ability to play a primary role in decision-making for any major issues for the children, such as schooling and medical issues, where the children will live, what the children’s names will be, and overseas travel until the children turn 18. I told Steve that both he and his Tammy will continue to have joint parental responsibility for his daughter Amanda unless that is altered by the court which in his circumstances is not likely at this time. The Act says if the parents have equal parental responsibility, the child’s parents are to consider firstly whether an order that the child spend equal time with the parents. Equal parental responsibility and equal time with both parents are very different things. I explained to Steve that with respect to equal time, that is 50-50 or one week on one week off type arrangements, the court has recognised that such an arrangement can only work in limited circumstances. (also, a paramount consideration) the child must be protected from physical or psychological harm from being subjected to, or exposed to abuse, neglect or family violence. I said in that case, he will need to establish good communication with Tammy about parenting decisions, he should be close to Amanda’s school and Tammy’s new residence for practical reasons, and most importantly Amanda must not be subjected to or exposed to any domestic violence. The domestic violence Steve told me about that did take place, particularly when his wife had been drinking had been exposed to Amanda. I told him that this must never happen again. There must also be good communication at changeover and no arguing or pushing each other swearing at each other or any emotional abuse. It may turn out that his wife continues to drink and become violent, Amanda are may be safer living with Steve. I told him that the court would appoint a family report writer to prepare a family report to make recommendations to the judge as to what is in his daughter’s best interests. I also told Steve that if Tammy and Amanda have moved out of the area to make it extremely difficult for Steve to spend any time with Amanda, we can ask the court for an order that they be relocated back to this area to maintain the status quo until the court can determine what is in the best interests of Amanda. Question 3: What is substantial and significant time? If equal time is not possible, then the court must consider the importance of the child having a meaningful relationship with both of the child’s parents and giving substantial and significant time to the parent with whom the child does not live. The old regime where the father would only get to spend time with his child every second weekend and half the school holidays is not considered to be substantial and significant time. I explained to Steve that there is also an obligation on both parents to facilitate (make possible) and encourage the children to spend meaningful and significant time with the other parent. I told Steve that if it is at all possible, equal time should be considered. Additionally, and particularly relevant in Steve’s case, is the fact that because Steve is a fly in fly out worker, a 50-50 equal shared care arrangement would not be possible because of his work commitments. Practicality needs to be considered as well. I asked Steve if there had been any issues of domestic violence, alcohol abuse or illicit substance abuse by Tammy against him. He told me that Tammy was the heavy drinker, and after a few drinks she would become violent and occasionally would strike out and on one occasion she kicked him in the head. Steve denied that he provoked her to do this. He said she was psychopathic and out-of-control when she had drunk too much. Steve said that he is a mine worker and he drinks heavily himself, however he does not become violent like Tammy does. I asked him why he thought Tammy left, and he said that he suspects she is having an affair because he is hardly ever at home. I told Steve that while many parents might think that think equal time is the best arrangement post separation, most of the time that does not turn out to be the case. Equal parenting or week about arrangements can sometimes lead to extra pressure on the children, particularly once you factor in the children’s schooling and extra-curricular commitments, age, and any health issues. Parents also need to factor in their own lifestyle, financial means and commitments which may impact on their ability to spend meaningful time with the child while in their care. Week about arrangements, of their nature, may place too much of a burden on the child’s psychological state and ability to be apart from one parent more than the other. This is particularly the case for younger children who may still be dependent on their primary carer. Amanda falls just within this category, and I told Steve that if Amanda is safe living with her mother and she is not exposed to or neglected by excessive alcohol use and associated violence, then she will most likely remain living with mum. However, if Amanda is not safe in that environment, it may be turned out to be in Amanda’s best interests for her to live with Steve. I told Steve depending on how things go, in a year or so they made look at trying and equal shared care arrangement if the circumstances allow. Both parents must also have the ability and capacity to properly care for the child and meet the child’s before equal time is simply assumed. Question 4: how do I find Amanda and Tammy? I told Steve that in these circumstances, where Tammy has left with the child she must perceive some conflict, threat or an emotional need to be away from him. Tammy will be likely even if we find her, to resist or restrict Amanda spending time with him. Steve said he still has an email address for Tammy, although he doesn’t know if she still uses it. I said the best thing we should do immediately is to write to her in a civil and polite manner and ask her why she has left, where she has gone to, and what proposals she has for Steve to spend time with Tammy. If there is no response to that letter (which will give a very short timeframe for a response), then we will have to issue legal proceedings for a location order and a recovery order (to force Tammy to relocate back to the area to maintain the status quo) and some interim parenting orders. We will also ask for the court to appoint a family consultant to prepare a report once Tammy and Amanda have been found. Question 5: if we find Amanda and Tammy before issuing Court proceedings, what should we do next? I told Steve that if we happen to find Tammy and Amanda’s whereabouts from communicating to her through her email or by other means, the first sensible step is to try to organise a mediation with Tammy. Mediation (referred to in the Act as “family dispute resolution conference”) this can be done through either government mediation services or private mediators. A mediation is required before court proceedings are issued, unless there are circumstances of extreme urgency or there is a risk of harm to the child being exposed to family violence or child abuse. The benefit of mediation is that it provides both parties with the ability to discuss their concerns about parenting matters with an independent mediator, which may provide them with a better perspective on what is in the best interests of Amanda. Amanda will not be included in the mediation, and I told Steve that when he starts communicating with Tammy it is very important for him and Tammy to not put Amanda in the middle of any parenting discussions where arrangements for Amanda are being discussed. This will put uncalled for emotional pressure on Amanda. Question 6: Steve then asked me “what if mediation fails and I still cannot see Amanda? I told Steve that if he fails to reach an agreement at mediation, the mediator will give him what’s called a section 60 I certificate authorising him to commence legal proceedings. I did say that in the circumstances of his case where Tammy took Amanda away without any notice or informed consent, and due to the domestic violence and alcohol issues, he probably falls within an exception to having to file a section 60 I certificate to get court proceedings underway. However, if there is a possibility that mediation might have worked, I always recommend trying that first. Question 7: What are the benefits of issuing Court proceedings? Will I get Orders in place quickly? Issuing Court proceedings in the family law courts can be an expensive and drawn out process, both financially and emotionally. Generally, at the 1st return date, which in urgent circumstances may be as quick as in one week, but in normal circumstances is probably 2 to 3 months away we can ask for some interim parenting orders and for a family report to be prepared. The matter is then generally adjourned for 6 to 8 months to enable the family report to be prepared. The family report writer will make recommendations to the judges to what is in Amanda’s best interests. 9 times out of 10 the judge will make orders along those lines. However, if he or Tammy disputes the recommendations the matter will be set down for trial which could be another 6 to 12 months away, or longer if the proceedings are in the family Court of Australia. I have written another article which is on our website called “What if mediation fails”. In that article I explained the court process in more detail. I suggested that Steve read that article and all the other articles of our website dealing with the family courts and parenting matters, so he can get a good grasp of how everything works. Question 8: How can I safely communicate with Amanda’s mother about Amanda? Steve asked me what will be the best to communicate with Tammy about Amanda in circumstances where there will most likely be hostility. Phone calls can readily get out of control, and text messages can be misinterpreted. I said “using the FYO RR method you will communicate this by email in short bullet points under 2 headings, the 1st being FYO (for your information) and the second heading will be RR (response required). You will give her a week to respond. If Tammy is caught up with something and cannot respond within that week, Tammy will email you during that week to tell you that she needs an extension of time and will give you a time by which she can reasonably respond. If that time is reasonable you will allow it. Amanda has made friends with the girl next door. She is one year older than Amanda and her name is Vicky. They enjoy spending time together. do you know what happened at school on Thursday because when I picked Amanda up she had a scratch on her face. It’s not too deep but it looks like a nail scratch. Can you please let me know the results of Amanda’s blood tests? I would appreciate it if you could send me a copy and let me know what the doctor said. Amanda has informed me that you now have another person living in your house. Can you please tell me a bit about him to help satisfy me that Amanda, being only a young girl, is safe around him? Steve said he thought that was a great idea, and he would try down the track. I will however tell you that Steve now has a fantastic relationship with Amanda, and they get to spend a lot of fun time together. Steve takes Amanda to her swimming lessons, they go Kayaking together he assists her with her homework during the time that he has with her. Steve and Tammy communicate very effectively about Amanda using the FYO RR method and Amanda is doing very well at school as a result. 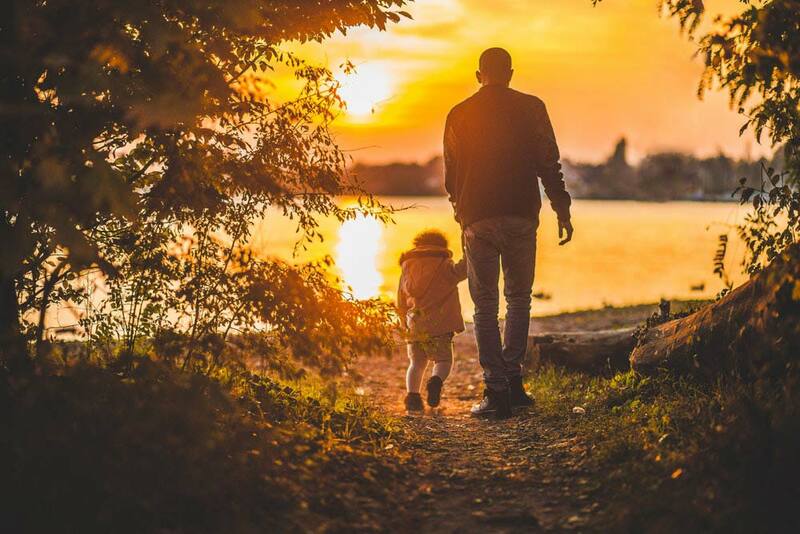 Please contact our family law team at OMB if you find yourself in circumstances like any of the above so that we can assist you to find yourself enjoying a happy relationship and spending meaningful time with your child, like Steve and Amanda now enjoy. Please note that the names and circumstances in this article are completely fictitious, and every individual’s circumstances will differ. However, I have over my career found myself acting for people in very similar circumstances to Steve and in all cases a good outcome was achieved in the end for the child and her father.